This boy and his family were visiting a park in Alice Springs when they came across a hostile creature. 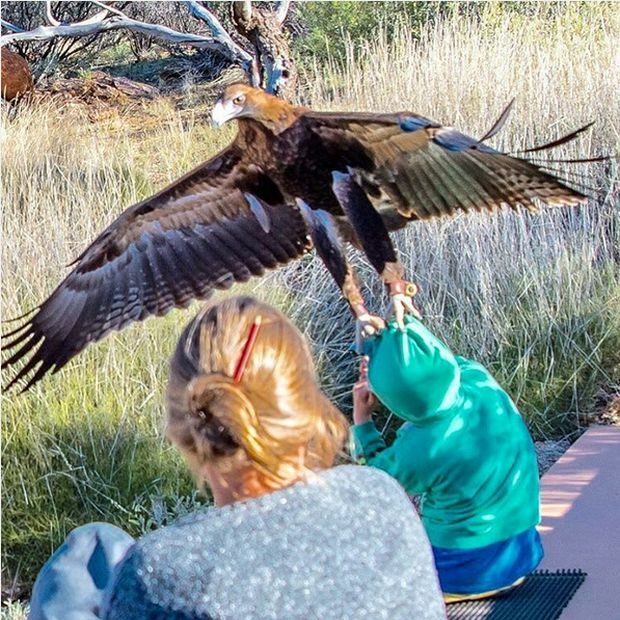 A Wedge Tailed Eagle showed no fear when it lunged at a young kid and then attacked him. Luckily the kid walked away unscathed. Is it just me who can see only one picture?